Authority Brands, LLC is a leading franchisor of multiple franchise concepts focused on in-home services. Founded in 2017 and headquartered in Columbia, Maryland, Authority Brands supports more than 550 franchise locations in the United States, Canada, and Latin America. growth through providing strong marketing, technology, and operational support. Our goal is to have our franchisees at the local level averaging over $1 million in annual revenue.  Founded in 1977, The Cleaning Authority has over 225 franchisees providing residential cleaning services across the US and Canada. Founded in 1980, Homewatch CareGivers® has over 100 franchisees delivering high-quality and compassionate care to people in need of home care services. Founded in 2002, America’s Swimming Pool Co. has over 250 franchise locations providing exceptional and reliable swimming pool maintenance, repair, and renovation. Founded in 2005, Mosquito Squad has over 250 franchise locations providing services to eliminate mosquitoes, ticks and the diseases they can bring to families and communities. Franchise owners we support by giving them the tools they need to operate a successful business and achieve the lifestyle they desire. Homeowners we service by providing elite services. Employees by providing stable employment. Authority Brands is a leading provider of in-home services, building brands that support the success of franchisees, as well as bettering the lives of the homeowners we serve and the people we employ. We have more than 550 franchise locations across the United States, Canada, and Latin America. All of our franchise brands are committed to the same common values and principles. Across the board, our vision remains the same - to continue to grow franchise brands that average over $1 million in per-unit revenue. In order to accomplish this goal, we support our franchisees to help their continued growth through elite marketing, advanced technology, and strong operational support. Fill out the contact form below to see how Authority Brands can help your business grow!